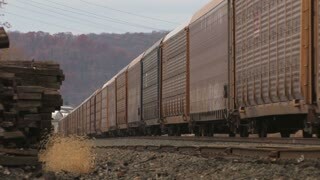 Search Results for "cargo train"
PITTSBURGH - Circa December, 2018 - A driving side view of a passing cargo train. 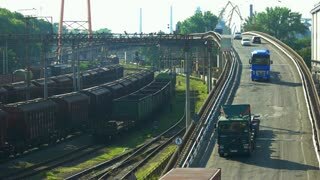 Freight trains on cargo terminal. 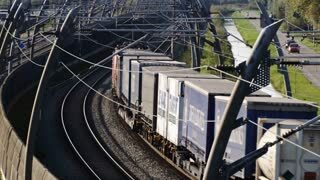 Flock of pigeons and freight cargo trains. A silhouetted aerial shot of a cargo train traveling over a railroad bridge spanning the Ohio River. A red stop sign at a railroad crossing while a cargo train passes behind. With audio. 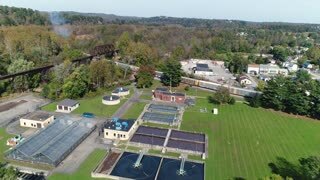 A daytime early Autumn aerial establishing shot of a cargo train traveling through a small New England town near a water treatment plant. Pittsburgh suburbs. AUSTIN, TX - Circa December, 2017 - A slow forward aerial view of a cargo train traveling over a bridge over the Colorado River in downtown Austin, Texas. MONACA, PA - Circa April, 2017 - A daytime rising aerial view of a cargo train traveling on a railroad bridge over the Ohio River in Western Pennsylvania. 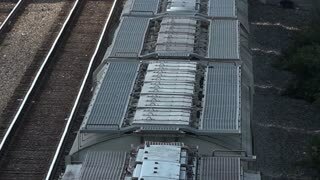 An overhead shot of a cargo train. 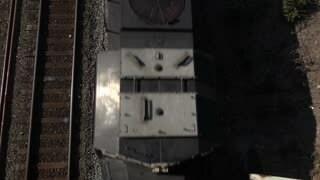 An overhead shot of a cargo train passing slowly below. 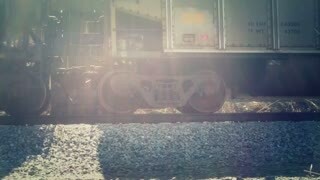 A cargo train passes by. PITTSBURGH - Circa May, 2017 - A rising aerial view of the skyline of Pittsburgh, PA while a cargo train passes by in the foreground. MONACA, PA - Circa April, 2017 - A daytime slow aerial forward view of a cargo train traveling on a railroad bridge over the Ohio River in Western Pennsylvania. 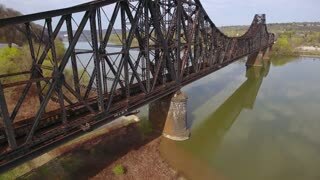 MONACA, PA - Circa April, 2017 - A daytime aerial view of a cargo train traveling over a railroad bridge on the Ohio River in Western Pennsylvania. 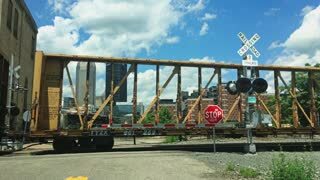 PITTSBURGH, PA - Circa June, 2017 - A cargo train passes the Pittsburgh skyline on a sunny summer day. 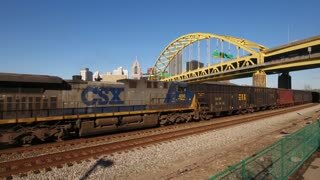 A reverse high angle aerial establishing shot of a cargo train traveling over a railroad bridge in Western Pennsylvania. The Ohio River is in the distance. 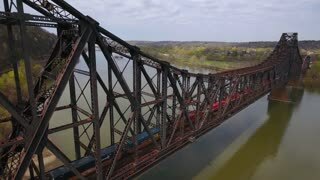 MONACA, PA - Circa April, 2017 - A daytime aerial reverse view of a cargo train traveling on a railroad bridge over the Ohio River in Western Pennsylvania. 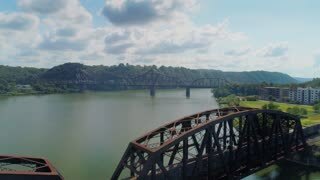 A profile aerial shot of a cargo train traveling over a railroad bridge spanning the Ohio River. 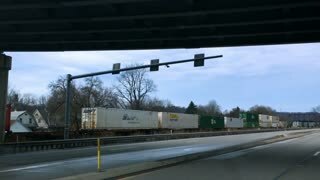 LEETSDALE, PA - Circa February, 2017 - Driving along side a cargo train on Route 65 just north of Pittsburgh on an overcast winter day. A high angle aerial profile view of a cargo train traveling over a railroad bridge spanning the Ohio River. Pittsburgh suburbs. 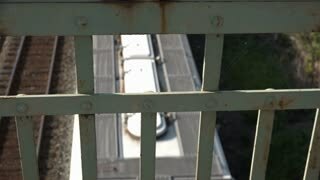 An aerial bird's eye view looking straight down on a cargo train traveling on a railroad bridge over the Ohio River. 02. 08. 2017, Odessa, Ukraine. 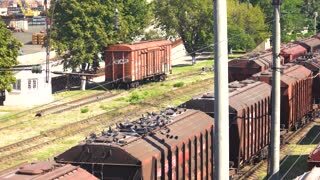 Cargo freight trains depot. Train Freight transportation platform, cargo transit. 02. 08. 2017, Odessa, Ukraine. 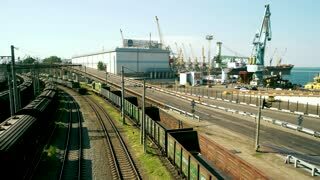 Train freight, cargo railroad and seaport. 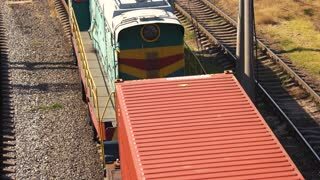 Freight trains stand in a queue for loading at the cargo terminal of the Odessa sea port. 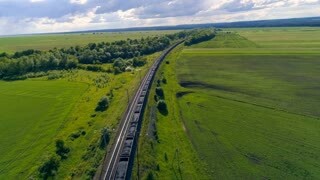 Cargo train runs through the fields. 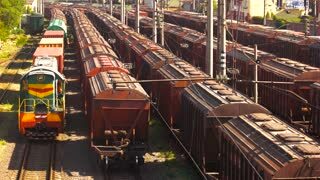 Railway wagons for hazardous materials. Oil and gas, transport by train. Beautiful autumn nature and cargo train, runs through the fields. Dallas Texas Cargo Train. A cargo trains cuts through a town in Dallas, Texas. Features greenery and low rise buildings in the background. 1960s: Man watches cargo train that passes by, two chimneys and a mountain covered in snow in the background. Silhouette of a cargo train.